WHAT CAN BE SAFELY JET WASHED? So we here at Dirtbusters we clean lots of outside floors. Some are easier to clean than others, and some seem to clean up better than others too. This short post will explain what type of flooring responds well to high-pressure jetwash cleaning. 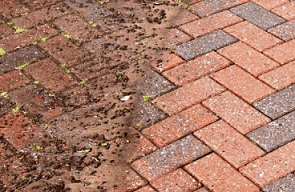 99% of the Dirtbusters jetwashing jobs are carried out just with high pressurised water. This is generated via our petrol run machine. We clean lots of this medium, usually in our customers back garden patio areas. The reason this cleans up so beautifully is due to all of the colours stored in the stone. Our customers are often unaware of the hidden beauty of they’re Indian stone patio, usually, if they have only been in the house for a short while and not had it cleaned before. 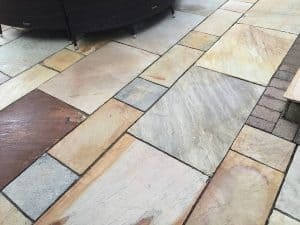 The disadvantage of this type of patio floor type is that the grout will need replacing sooner rather than later if not fitted correctly upon installation. This is a popular choice for driveways here in Liverpool. It is relatively inexpensive to lay (in comparison to some other driveway choices). When it comes to cleaning you may have a problem. Tarmac as an example won’t like oil removal. The tarmac can break down during oil removal in some cases. We can jetwash tarmac using low pressure, this is ok for moss removal etc. Tarmac can lose its lustre and shine over time. 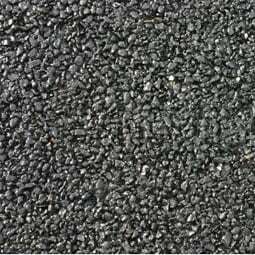 If your driveway is in otherwise good condition, we can add a product in order to replenish the black colour. We can usually clean up block-paving so it shows an almost new condition. Oil removal is possible in a lot of cases, although replacing the block is also possible. 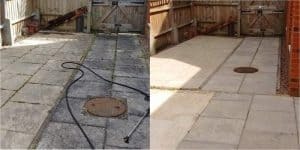 We can clean block paved driveways fairly quickly, and the resand the joints a couple of days later. A great choice for restorative cleaning. We see these a lot on house fronts, as well as on some patio spaces. We can still get fantastic cleaning results on slabs, but if needed we can actually use a special solution that will essentially bleach the colour out of the concrete and get them back to white again. CALL ANYTIME FOR A PRICE ON JET WASH CLEANING IN LIVERPOOL & THE WIRRAL ON 0151 448 1797.